There are currently 35,254 users on this website. Kinda looks like a 2 dollar Mexico planchet. What does the edge look like? Bear in mind that because of how coins are mass produced, it is actually not rare at all to see a variance of 0.5 grams for non precious metal coins. I would not be surprised if this is the case of Thai 10 baht. 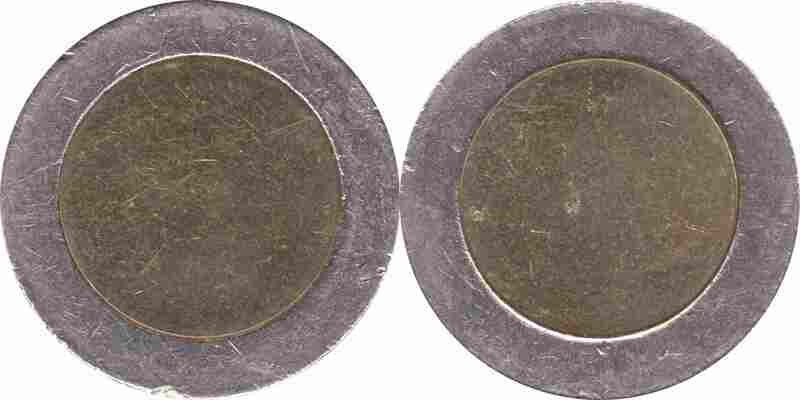 My numismatics articles and collection: http://www.gxseries.com/numis/numis_index.htm Regularly updated at least once a month. Edge is plain, but IMHO this is can't say to us anything - we don't know which step of production it was. Whatever it is, it ain't worth much really/ It's not a twoonie ( Canada $2 ) nor is it a 2 EURO. Not sure really but keep searching and you will find. Best of luck! This might be a contender though thickness is 3mm.